It took literally months to get my hunter to level 80, but just a few weeks to get my priest to the same level. It’s certainly a lot faster the second time around. I ran more dungeons, battlegrounds and skipped a lot of quests I just couldn’t force myself to do again. I’ll have to go back at some point and pick up quests for reputations that will be useful, but for now I’m just enjoying having my priest at level 80. I duel-speced Discipline/Shadow at level 40 and switched between them often. 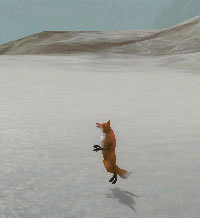 Shadow for questing is a definite advantage as mobs go down a lot faster and easier than with the Discipline spells. 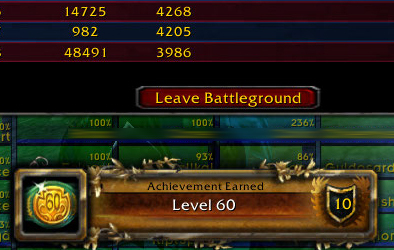 I would switch to Discipline for healing in battlegrounds and instances, so by the time I reached level 80 I was familiar with how both specs worked and didn’t feel as if I had to “relearn” a new routine. 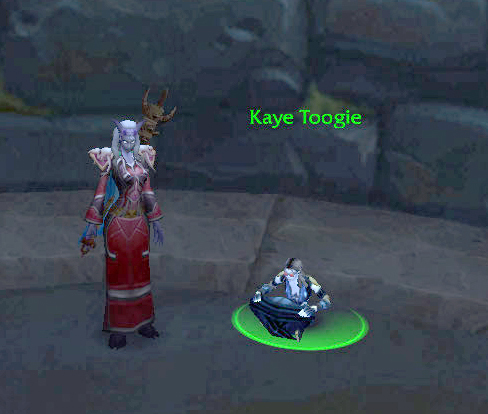 At about level 68 I found a mage to port me to Dalaran so I could set my hearthstone there – much more convenient for traveling around. 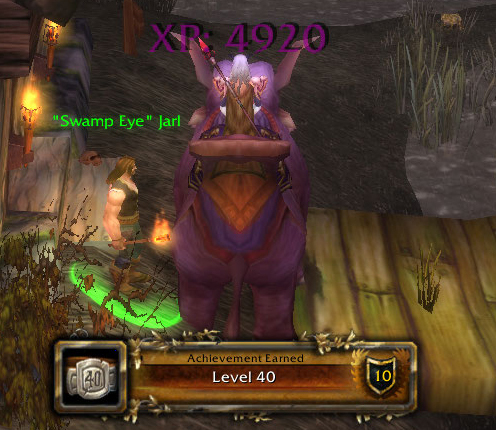 When I finally got my Priest to level 70 I started the Outland and Northrend Daily Cooking and Fishing quests. 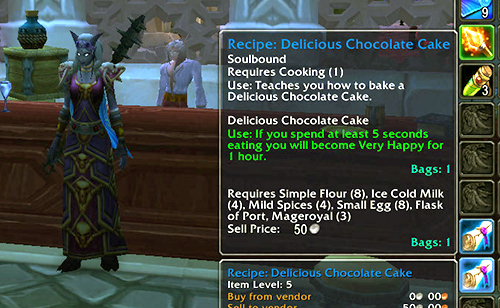 Since I had such a difficult time getting the Recipe: Delicious Chocolate Cake for my hunter, I expected a fairly long wait to get not only the chocolate cake recipe, but also the Recipe: Storm Chops for my Priest. 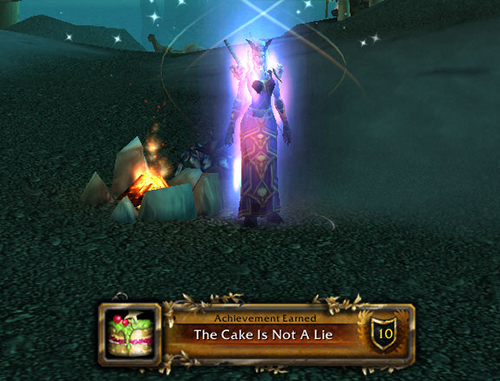 Second day of doing the Outland Daily Cooking quests I had both recipes drop from the same Crate of Meat reward. 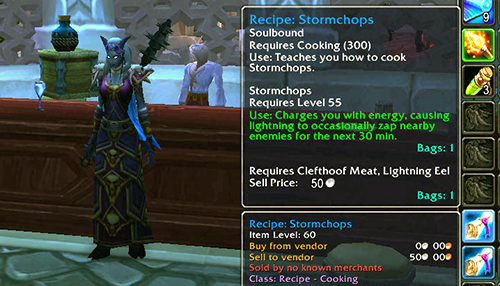 Within the next few days I had all the dropped recipes including Captain Rumsey’s Lager so I don’t have to do any more Shattrath cooking dailies! I had anticipated a long grind to get all the recipes so to prepare I stocked up on stacks of Raptor Ribs, Worm Meat and Warp Flesh – maybe I can sell it all at the Auction House. I’ll still travel back there to do the fishing quests until I have all the bucket pets. The Crocolisks in the City quest has only turned up once so far and I was lucky to get Muckbreath’s Bucket the first time. I was also surprised to get High Test Eternium Fishing Line in a fishing quest reward – something my hunter never managed to get at all. I spent more time questing in Northrend than any other area because the experience was much higher and the reputation rewards are pretty much required to get enchants. I started with the Kalu’ak (needed that nice fishing pole for my fishing line) and reached Exalted fairly quickly as I already knew all the quests that would give reputation. 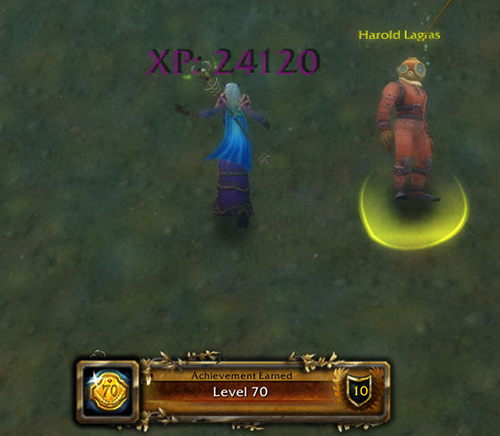 After working through the quest chains to open up the dailies for the Oracles, Sons of Hodir and Knights of the Ebon Blade, I was at level 78 and could start the Argent Tournament. 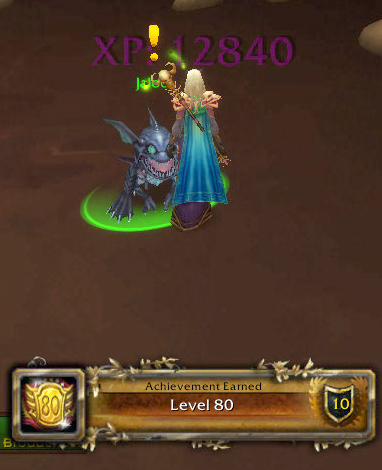 At this point I was leveling so fast I missed a lot of dungeons to get better gear so I reached level 80 with mostly quest greens and a few quest blues. Not nearly good enough to get into raids or heroics, but that’s okay since I don’t know any of the instances from a healing perspective and need the experience on normal before running the tough ones! 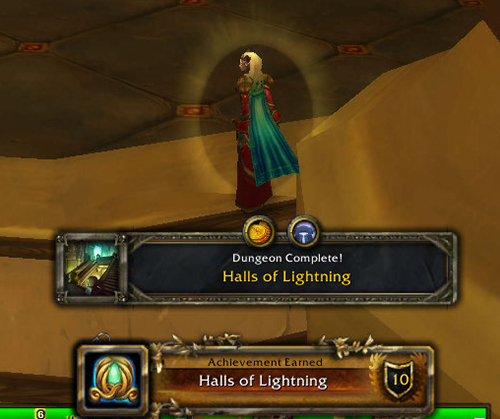 I ran my first “official” level 80 instance and got Halls of Lightning. Luckily a few nice cloth items dropped and since no one else in the group was interested in cloth, I was able to roll Need and get all the cloth gear. Healing in this instance was certainly a lot more interesting than lower level instances. We wiped a couple of times – first time someone aggroed a pack of mobs by mistake, second time was my fault. I ran out of mana and couldn’t do anything to save at least the tank. My drinks and pots were on cooldown and I completely forgot about my “emergency” spells I could have used to try to recover – particularly Inner Focus and Power Infusion. Fortunately we had a good group of players and no one raged about the wipes – we all had a good laugh, ran back and finished the instance with no more problems. I use Vuhdo for my healing grid so after the instance I reorganized all my spells, keybinds and macros to make sure I won’t miss it again! 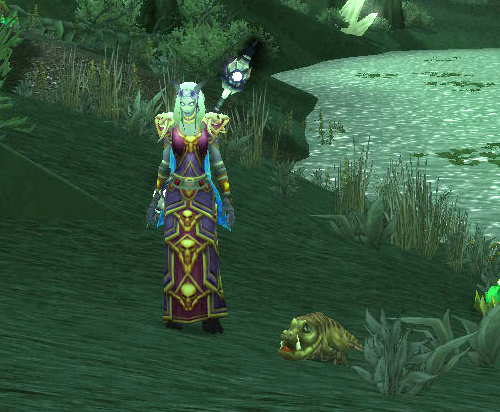 I picked up Tailoring for my Priest – no particular advantage or reason other than the perk of making Flying Carpets. I’m still not sure if any of the Tailoring Epic gear would be useful – it might be until I start gathering up enough Emblems to purchase gear – but I don’t know what would be best for Discipline – Moonshroud, Ebonweave or Spellweave. I’m still having a lot of mana issues that became rather obvious in the Halls of Lightning that I attribute to lack of decent gear. Hopefully better gear and a few trinkets will resolve the problem. I picked Engineering as my second profession because the perks from 400 and up are just too good to pass up – Dimensional Rippers, Zapthrottle Mote Extrator, Dalaran Auction House access, a few decent “tinkers”, the repairs bots, Jeeves and the Wormhole Generator: Northrend. This time it only took my priest about 10 minutes to “salvage” the Jeeves schematic from the Library Guardians in Stormpeaks. I’ve also been using the Wormhole Generator: Northrend quite a bit to quickly jump around for dailies when it’s not on cooldown. One time when I used the Generator to get to the Borean Tundra, the “Underground” option popped up so I took that instead. 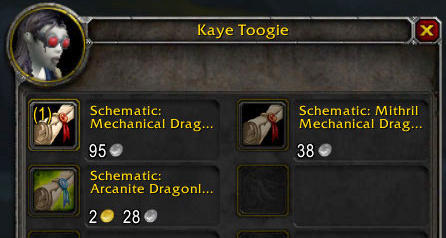 The “Underground” is a very rare option that ports you to a Dalaran sewer with one NPC (Kaye Toogie) who sells only the 3 Dragonling schematics. I didn’t have the Mithril or Arcanite Dragonling Schematics so that was worth the trip – no sitting for hours in the Winterspring cave waiting for Cobalt Mageweavers! If you ever get the Underground option for your Wormhole Generator, make sure your hearthstone isn’t on cooldown as there is no other way to get out – could be a very long visit! 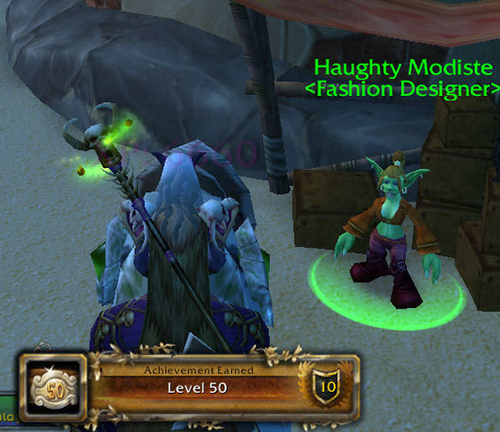 Oh cool, grats on 80! 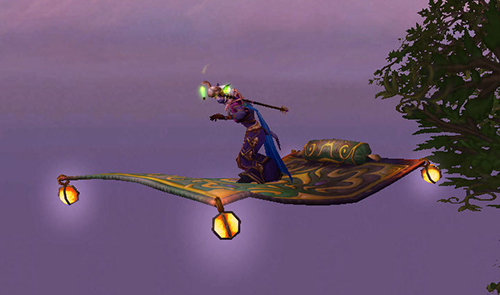 I have the flying machine for my hunter but haven’t built it for my priest yet – that’s next! Do you have a healing spec for your priest? Maybe you could give me some tips! Shadow is a lot of fun, but I find clicking all those “set up” spells (SW:P, VT, etc.) before getting to MF has mobs on me quick. I’m probably doing it wrong or don’t have the priorities in the most optimum order. I have disc, same as you. I expect you’re better at it though … I only heal when coerced into it. I like healing on my paladin a lot better. I don’t use all of the rotation spells/dots when questing. Usually just open with a mind blast, SW:P, then mind flay … I’ve seen recommendations to also skip the SW:P, mostly for mana conservation, but I get a kick out of standing there shielded, laughing at the mob swipe at me while the last couple ticks of the dot kill it. I don’t have to drink much, that’s what dispersion and shadowfiend are for.